What doesn’t kill you makes you stronger. It makes you immovable. Makes you unstoppable. EXO is unstoppable. With nothing but hit after hit, sold out concerts, and endless lists of endorsements, awards, movies, series, and solo projects, EXO is here to prove that hurdles and obstructions are what makes a group adamant and stronger. And EXO Philippines is here once again to celebrate all that make our 9 boys formidable. We, EXO Philippines, the premiere EXO fan-base in the country in cooperation with AstroPlus and SM North EDSA, invite you to the biggest, the most monumental and the most monstrous chapter in the history of EXO Philippines yet! Because just when you thought it couldn’t get any brighter and you wouldn’t get any luckier, we’re taking things a notch higher. 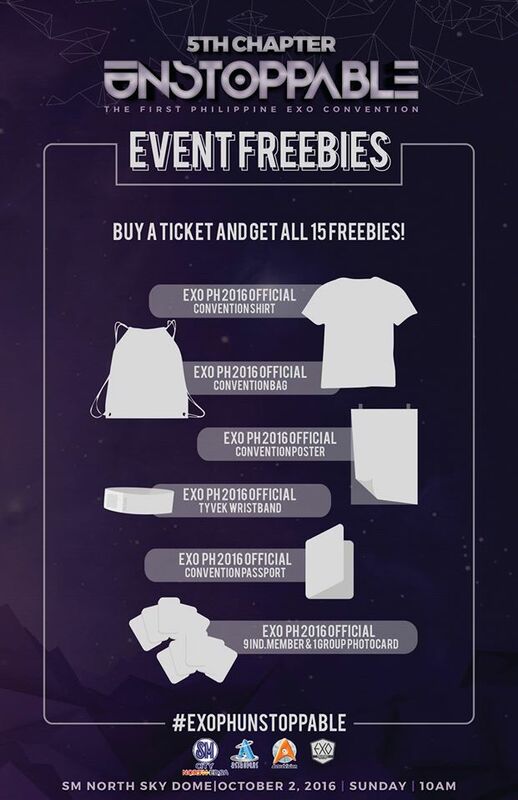 Fellow EXO-Ls, welcome to the first ever EXO Philippine Fan CONVENTION! Join us as we continue the journey that we started 5 years ago. Let us once again re-unite in a day filled with fun-activities, games, dance, song, and merriment. Immerse yourselves in the different individual EXO member fan club booths, or maybe spazz and be tickled when you visit our OTP booths. Whatever you do, be prepare to be blown off your socks! This time, let’s all growl louder, drop harder, sing better, and love harder! 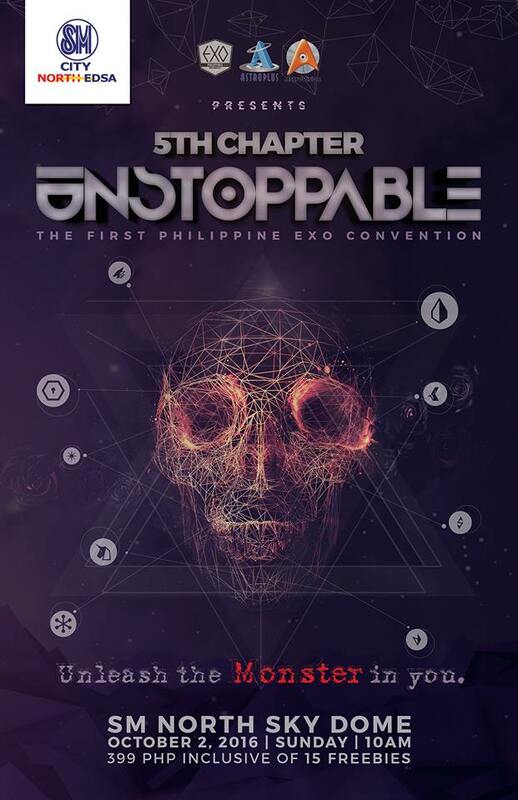 For this is 5C: Unstoppable, the first ever EXO Philippine Fan Convention!